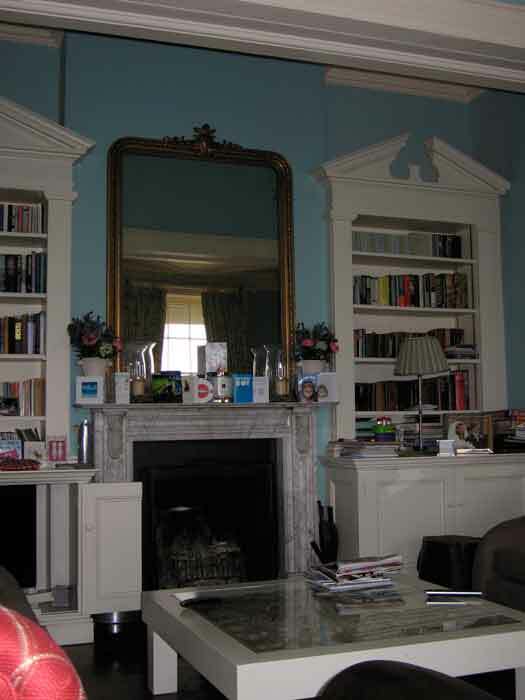 Searching for cabinet makers who could be trusted to design and produce bespoke furniture fit for an eighteenth century family home not far from Cambridge, we were asked to create a pair of pedimented painted bookcases. The particular room in which they were to be placed had high ceilings, allowing sufficient space to incorporate the pediments. One of the units had to conceal a TV screen to the lower cabinet, behind bi-folding doors. 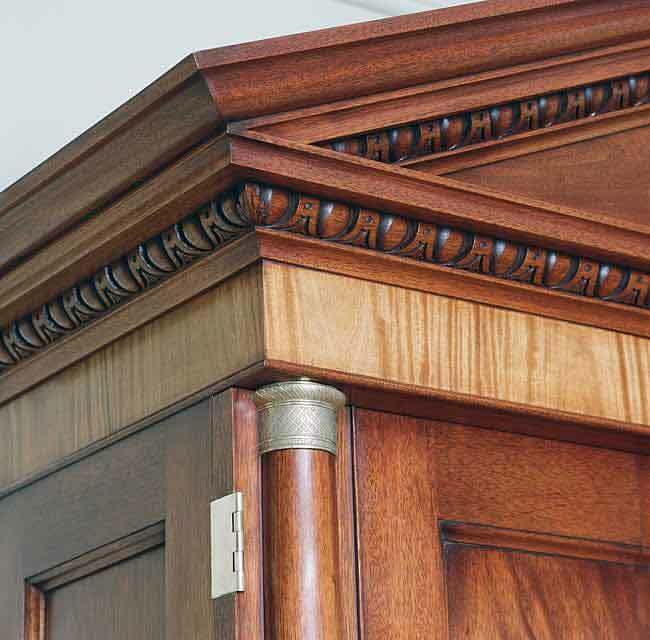 The style of the cabinets were of a fairly simple, straight-forward, classically inspired design, incorporating suitable mouldings sympathetic with that of the property’s interior. The completed bespoke furniture was painted in a water based eggshell, to an off-white shade.